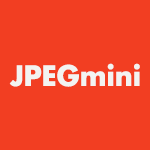 JPEGmini is a patent-pending photo recompression technology, which significantly reduces the size of photographs without affecting their perceptual quality. The technology works in the domain of baseline JPEG, resulting in files that are fully compatible with any browser, photo software or device that support the standard JPEG format. JPEGmini was developed by ICVT, an Israeli startup company based in Tel-Aviv. which is dedicated to optimizing media compression technologies. ICVT is lead by serial entrepreneurs and veterans of the Israeli technology industry, possessing an extensive experience in media compression and delivery technologies. ICVT's goal is to improve the user experience and reduce the costs associated with storing and transmitting media files. We are committed to supporting standard media formats, in order to make our technologies accessible by any user, device or platform.